The 2015 Grand-Puy-Lacoste, 74% Cabernet Sauvignon, 23% Merlot and 3% Cabernet Franc, matured in 75% new oak and was picked between September 18 until October 4 (although the "real" picking commenced from September 21). Now, Grand-Puy-Lacoste is often quite "aloof" at this early juncture, but that is not the case with the 2015. This is more approachable aromatically, beautifully defined, thanks to that expressive Merlot and Cabernet Franc. 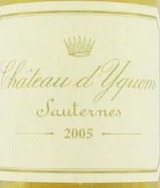 The palate is medium-bodied with svelte tannin and finely tuned acidity (pH 3.68). Beguilingly harmonious in the mouth, it boasts a silky smooth texture with wonderful salinity on the aftertaste that is sustained in the mouth. As usual, Xavier Borie has produced a "classic" Pauillac, but one that is a little more appeasing to those that don't want to cellar for 20-30 years. You could describe the 2015 as being between 2009 and 2010...and that, folks, is not a bad place to be.